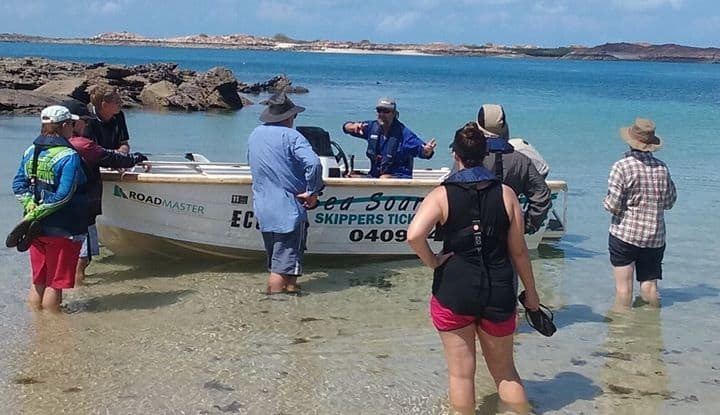 SEA SOARING MARINE will be in Broome delivering Recreational Skipper’s Ticket and Marine Radio Courses from Fri June 7 to Thur July 4, 2019. Available every day by appointment. There is no need study and learn the RST Workbook, as Wayne does it all for you during the one day course. $340pp includes all theory and practical training before assessments, licence fee, use of training vessel, local boating guide and “Much More Than Just a Skipper’s Ticket”. Book Your Course Now » Contact Wayne on 0409549356 or fill in the course enquiry form on the Recreational Skipper’s Ticket page. Just did a refresher course with Wayne and really had a great time. He brought back so many things I had forgotten and taught me a lot of new boating skills. This guy really knows his stuff, so is you haven’t got a skippers ticket or need to know about boats, contact him, you’ll be glad you did.